DNS translates Internet domain & host names to IP addresses and vice versa, It can convert the names of domain we type in our Web browser address bar to IP addresses of web servers hosting those sites, Larger corporations use DNS to manage their own company intranet, Home networks use DNS when accessing the Internet but do not use it for managing the names of home computers. 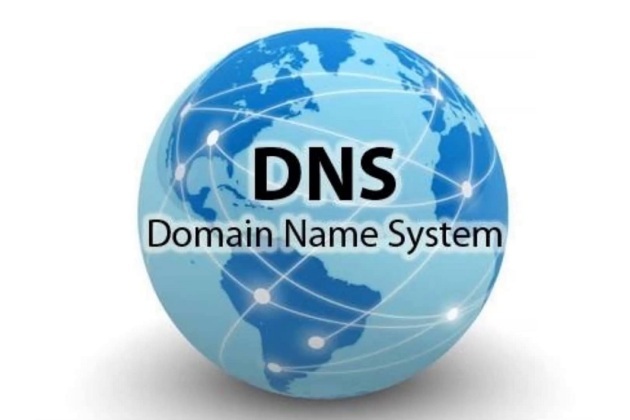 DNS stands for Domain Name Service, It acts as a look-up table which allows the correct servers to be contacted when the user enters the URL into the Web browser, This transparent service offers the other features which are commonly used by the webmasters to organize their data infrastructure. DNS runs on DNS servers, When the user enters the URL, such as www.google.com, into the Web browser, The request is not directly sent to the Google servers, Instead, the request goes to the DNS server, that uses a look-up table to determine several pieces of information, most importantly the IP address of the website that is being requested, Then it forwards this request to the proper servers & returns the information requested to the user’s web browser. DNS is the hierarchical naming system for the computer systems, the services or for any resources participating in the internet, Many information with domain names is assigned to each of the participants, It can translate the names of the domain into the binary identifiers that are associated with the equipment of the network to locate & address these devices. DNS is the client/server network communication systems, DNS clients send the requests to and receive the responses from DNS servers, The requests containing the name, which result in an IP address being returned from the server, they are called forward DNS lookups, The requests containing IP address & resulting in the names that are called the reverse DNS lookups. DNS contains support for caching the requests & for redundancy, Most network operating systems support configuration of primary, secondary and tertiary DNS servers, each of which can service initial requests from clients & it was designed to avoid a single large central database. Domain Name System (DNS) is the centralized mechanism for resolving / giving the IP addresses for a given domain name, It is the system that helps you to find the website using your internet browser, When you click on your internet browser ( Internet Explorer, Safari, Firefox etc. ), You will be able to type the name of the website. It is the only system of its kind that will allow you to browse & use the internet, Its use is necessary for most companies & the people across the world, Without this system it would be impossible for the people to access the internet & the internet has become an essential part of our society. You do not need to memorize numbers, The domain names make / give a kind of sense to hyper the links when the name is given instead of a string of numbers, It is easy for categorizing, archiving & helping the search engines. DNS enables you to specify the technical functionality of the database service, It can define the DNS protocol, the detailed specification of the data structures & the data communication exchanges used in the DNS, DNS is used as a form of load balancing or an additional layer of security. Host-names & IP addresses are not required to match in a one-to-one relationship, Multiple host-names may correspond to a single IP address, that is useful in virtual hosting, in which many web sites are served from a single host, a single host-name may resolve to many IP addresses to facilitate fault tolerance & load distribution to multiple server instances across an enterprise or the global Internet. DNS can enhance the security of your DNS infrastructure, It can allow the dynamic secure updates, It is more reliable, It can deliver the messages to the users with zero downtime, It is faster, It is connected well at intersections of internet, It enables the requests to be answered to the next closest node in the case of maintenance or downtime, It is smarter & It offers the automatic corrections of typos. The hierarchial & centralized which breaks down the main objective of Internet which is designed to be a decentralized system, ICANN can control the DNS root registry that is a non profit private organization with ties to one specific nation & challenges the concept of net neutrality. The breakdown of Domain Name System will crash the world wide web although there are many root servers & backup servers targetting DNS servers at particular key locations will do lot of harm, Spoofing DNS would lead to lot of crucial/private data ending up in wrong hands. If the server or computer breaks then the web-page hosted by the server or computer cannot run, DNS issues can be difficult to troubleshoot due to its geographical & distributed nature, The clients can connect to their local network when DNS is broken, but they will be unable to reach the remote devices by their name. DNS queries do not carry any information about the client that triggered the name resolution, The service-side DNS server knows only the network address of the DNS server that asks about the service location. The DNS server is the computer server which contains the database of public IP addresses & their associated host-names, It translates those common names to IP addresses as requested, DNS servers run special software & communicate with each other using special protocols. The domain name system servers are the computers which host domain names & website information, So, when you type the website into your internet web-page, you are linking to another computer that holds all the information of the website you are looking for. The servers link into the root computers across the world then collate internet websites & They allow the internet to run effectively, The other names for the DNS server include the name server & domain name system server. DNS servers help the standard Internet users to use Internet resources without having to remember port numbers & IP addresses, Even similar services, such as different areas of the website may be hosted at different IP addresses for security reasons. There are two DNS servers which are the primary & the secondary server, They are automatically configured on your computer when connecting to your ISP via DHCP, You can use two DNS servers, if one of them fails, So, the device will use the secondary server. When the DNS server can not find the correct IP address, The website will not load, As the computers communicate via IP addresses & not host-names, The computer doesn’t know what you’re trying to reach unless it can use an IP address. If the malware changed your DNS server settings, entering the same URL might take you to a completely different website or to the website that looks like your bank website but really isn’t, It may record your username & password, giving the scammers all the information they need to access your bank account. Malwares hijack some DNS servers to redirect the popular websites to ones that are full of the advertisements or fake virus websites that make you think you have to buy the program to clean the infected computer. You should install an antivirus program so that malicious programs are caught before they can do any damage, You have to be aware of how the website looks, or you’re getting an invalid certificate message in your browser, it might be a sign that you’re on an imitation website.